Harloff'sBemis Locking Sharps Holder with 5 Qt. 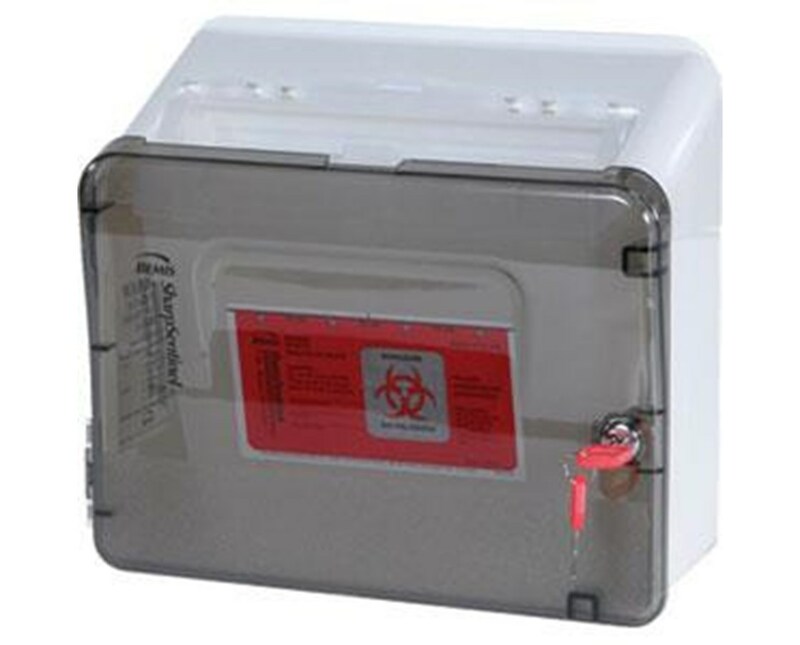 Sharps Container combines secure sharps storage with a convenient sharps disposal container. 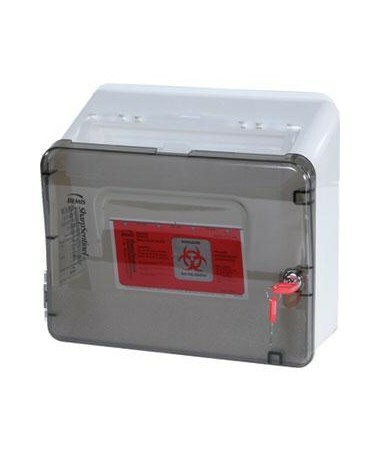 The holder is customer-installed using pre-drilled mounting holes on your Harloff Classic, Mini or Universal Line Medical Cart. If your cart does not come with pre-drilled mounting holes standard, the holder must be ordered at the same time as the cart so the holes can be drilled. Order online direct by clicking "add to cart!"